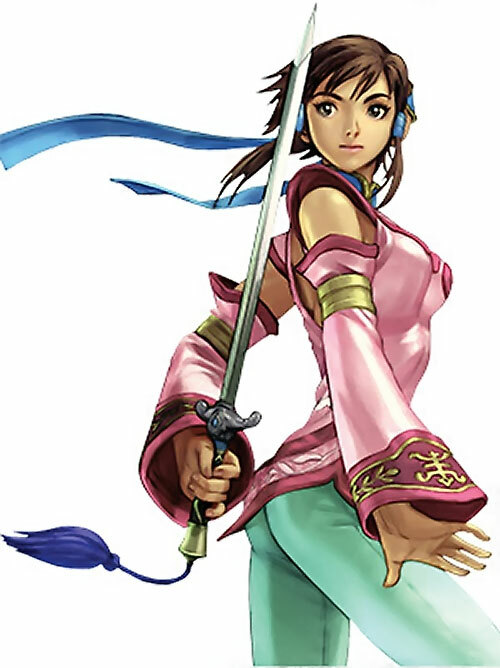 Xianghua Chai is a character from the classic Soul Calibur series of console fighting games. She mixes martial arts, sword play, and acrobatics. She is also noted for an extraordinary speed and acrobatics. Other Aliases: Flower in the breeze. Known Relatives: Kong (father, estranged), Xiangfei (mother, deceased), Xianglian (sister, deceased). Group Affiliation: Emperor’s honor guard and frequent partner of Kilik and Maxi. Height: 5’0” Weight: 101 lbs. 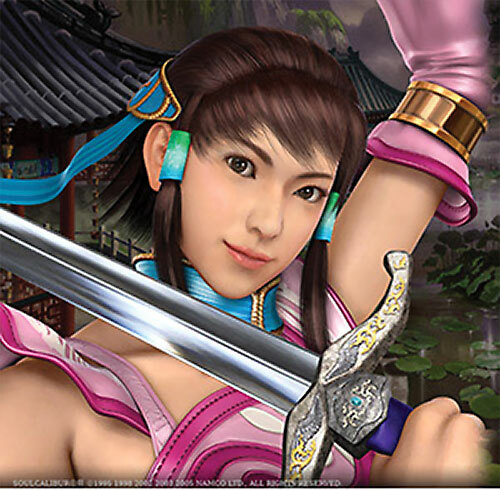 Xianghua is a highly skilled fighter and acrobat and extremely fast. Physically she’s not all that tough as she is quite a petite woman, but she does hit quickly and with great precision. She’s probably the best gymnast in all of China in her generation and perhaps even the best in the world. 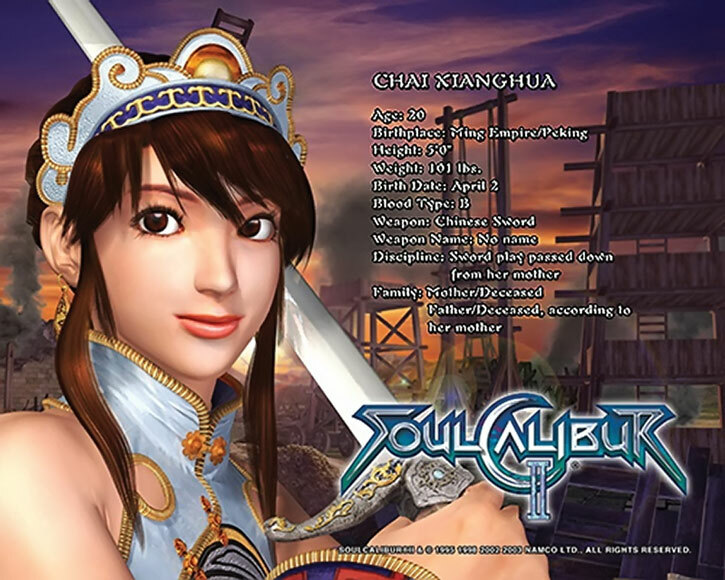 Xianghua is a petite Chinese girl with brown hair and doe brown eyes. She usually binds her shoulder-length hair in the back and allows for two little pig tails on the sides. Her costumes are always brightly colored and a bit flashy. This is most likely due to her presence in the Emperor’s court and her work in her performance troupe. They are always made of light material as not to impair her highly acrobatic style. 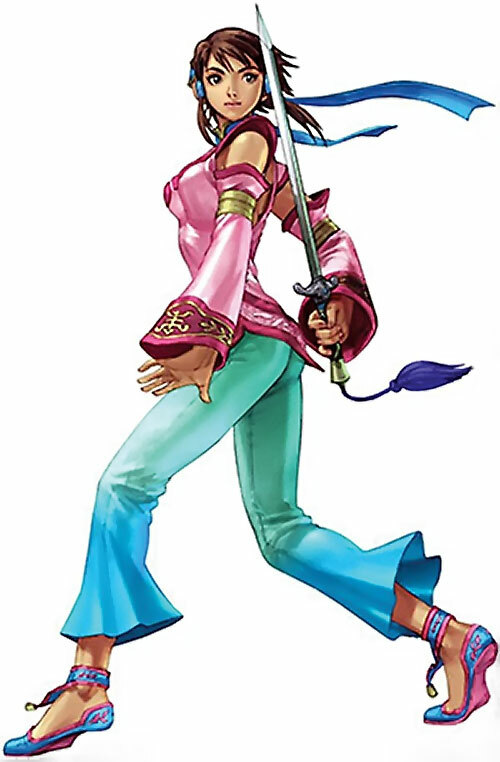 Her original costume had blue or purple tights with yellow dragons on the side and a flowing white Chinese style vest with gold Chinese calligraphy patterns on the front. 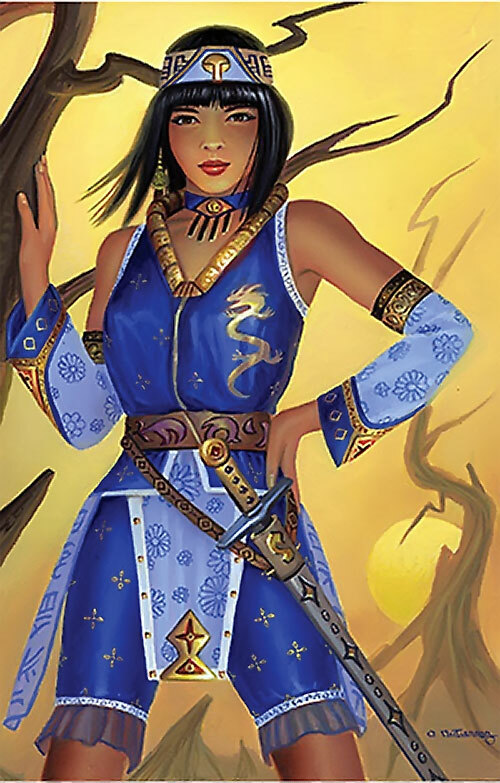 The vest left her shoulders and upper arms bare, but had matching sleeves to go with it synched at the elbow. Later she traded the tights in for some loose fitting silk pants. In later games her default outfit was some really short shorts with a tight vest and loose flowing jacket over it fringed with lace at the ends. This outfit was also white with light blue and purple trim. 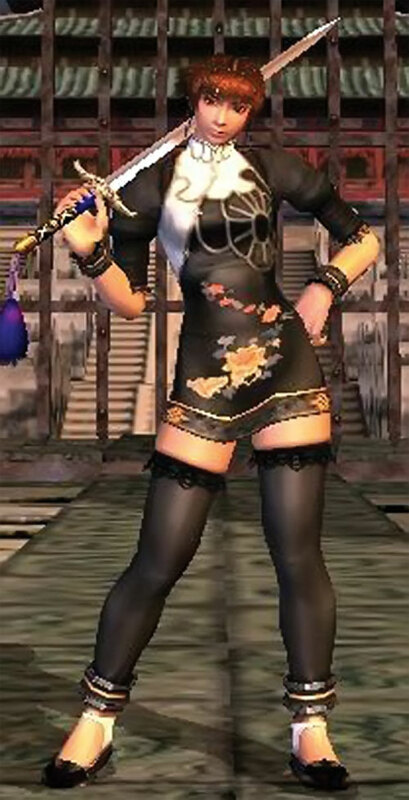 Her alternate costume is a black Chinese dress that’s incredibly short and has some pretty high slits going up the sides and short sleeves. This also had a gold pattern on the front. In all her costumes she always has simple slippers and a bit of jewelry on as decoration. Xianghua is a seemingly innocent and pure girl. But she does have a certain edge to her as she has been trained from birth in martial arts. And she has served the Emperor’s court for quite a while. Throughout the game she does demonstrate that she’s far more interested in doing the right thing and supporting her friends rather than in serving her lord. When she was first introduced she was a shy and timid girl despite her obvious talent for the martial arts. It seems that the only reason that she was able to stand against the ominous evil of the Soul Edge was due to the support of her friends. But after several adventures and rigorous training she is finally able to find the courage to stand on her own. Her relationship with Kilik is more often than not a bit strained. Obviously the chemistry is there, but it seems that they only meet under the direst of circumstances. She loves him deeply, but is far too shy to ever express her feelings. Kilik seems at times oblivious to this and at other times seems to feel the same way. Languages (Mandarin, Cantonese), Lightning Reflexes. 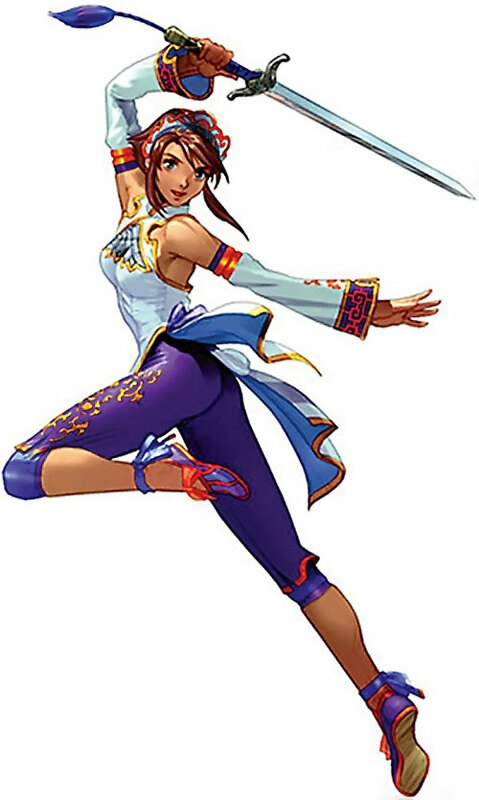 Kilik (High), Maxi (High), Edge Master (High), Emperors court (Powerful, Low), Her teachers (High). Soul Calibur [BODY 06, EV 05, R#00 Obscure: 08, Chameleon: 02]. 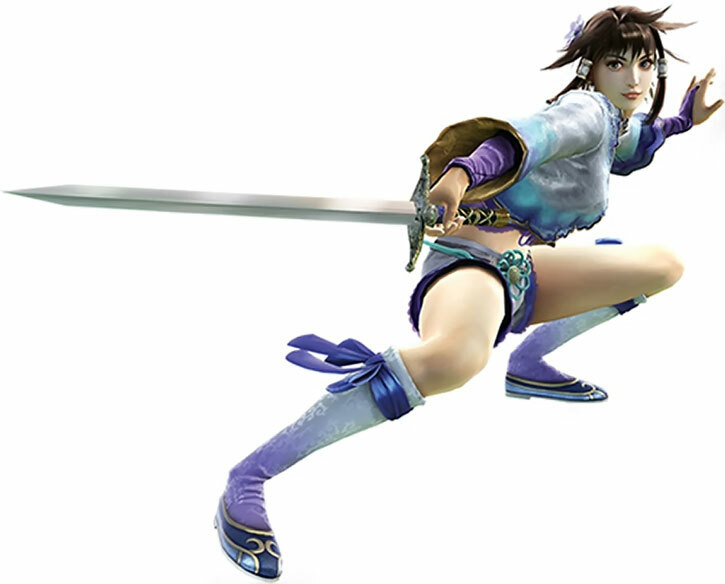 The Soul Calibur has manifested a number of powers after it departed from Xianghua that it didn’t use when she was wielding it. Basically its a plot device and should be treated as such. It did clearly demonstrate Obscure and Chameleon to keep itself hidden until the time was right though. When Xianghua fought Inferno in the end of Soul Calibur 1, Krita-Yuga became Soul Calibur. Soul Calibur is the sword destined to destroy evil. It is some what of an evil twin to Soul Edge. It has many of the same properties, such as the fact that it changes shape depending on who holds it, but it doesn’t control its user, and it is obviously good. Krita-Yuga [BODY 05, EV 04, R#00]. 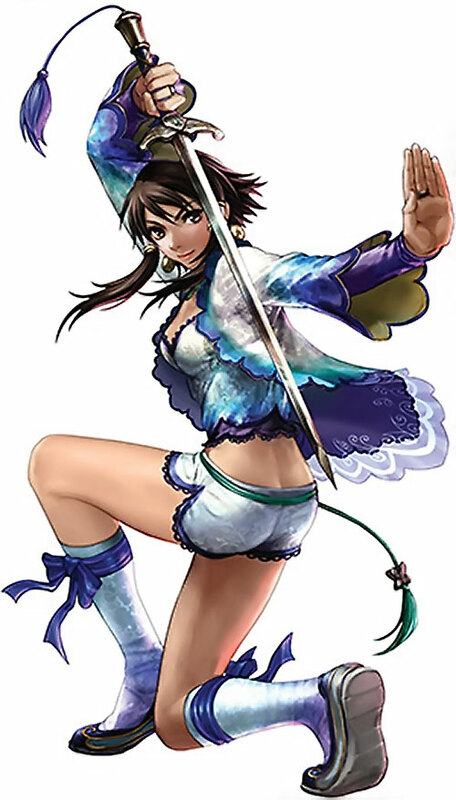 The Krita-Yuga was one of the three treasures held where Kilik and Xianghua’s sister trained. After the essence of the Soul Calibur departs from it it became a regular sword – albeit a masterwork one. 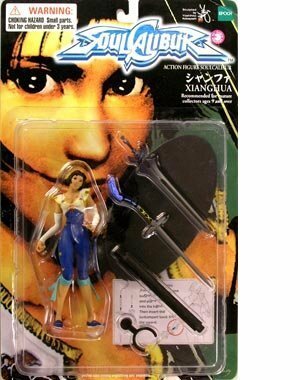 No real explanation was ever given why the essence of the Soul Calibur was just kind of hanging out there and why it chose to stay so hidden that even Xianghua, who’d been playing with it since birth, was even aware of it. 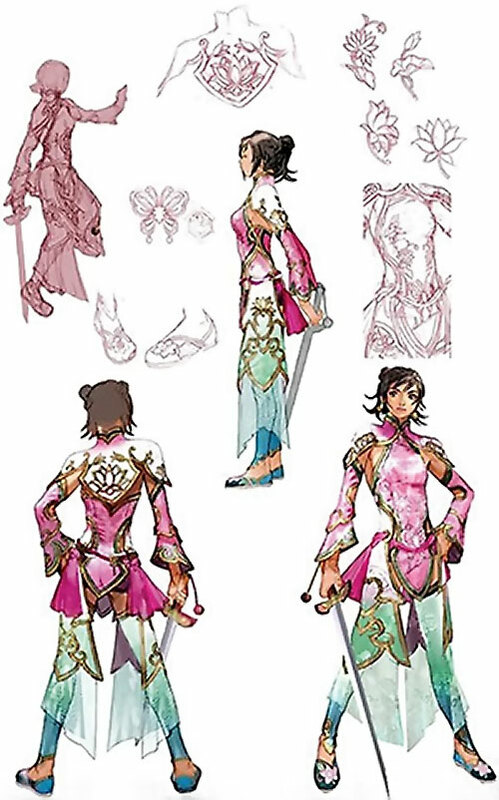 Xianghua’s Spirit and Mind were but a 04 and she only had 50 HP and the Uncertainty Drawback up until the events of SC4. Source of Character: Soul Calibur. Helper(s): roto13, Sébastien Andrivet, Ethan Roe. Golem Richard Montgomery Flag aka Rick Flag, Sr.